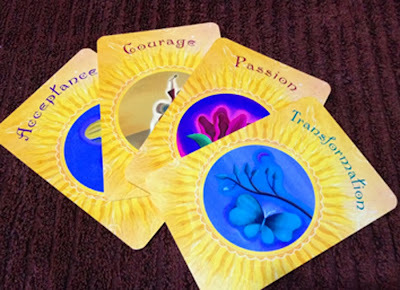 My Medicine Wheel message for December is Transformation. Now I wonder what that means for me? I think maybe my whole life is in the process of transformation. This time of my life is definitely the best I have ever experienced so far. I am the happiest I have ever been, I am the healthiest I have ever been and I feel totally connected to myself and all that is around me. So all I can say is - OK Universe bring it on I am prepared for any transformation you would like to serve up to me. What will the Transformation be? There was no touristy stuff happening in my life today, it was all necessary stuff. 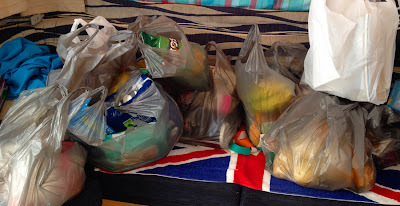 After being in Melbourne for two weeks the camper cupboards were pretty bare, so it was off to the supermarket to get some supplies. Way to much money was spent on groceries today!! Usually around this time of year I am decorating my house with all manner of Christmas decorations. I really love Christmas and don't want to miss out on decorating just because we are in a campervan. 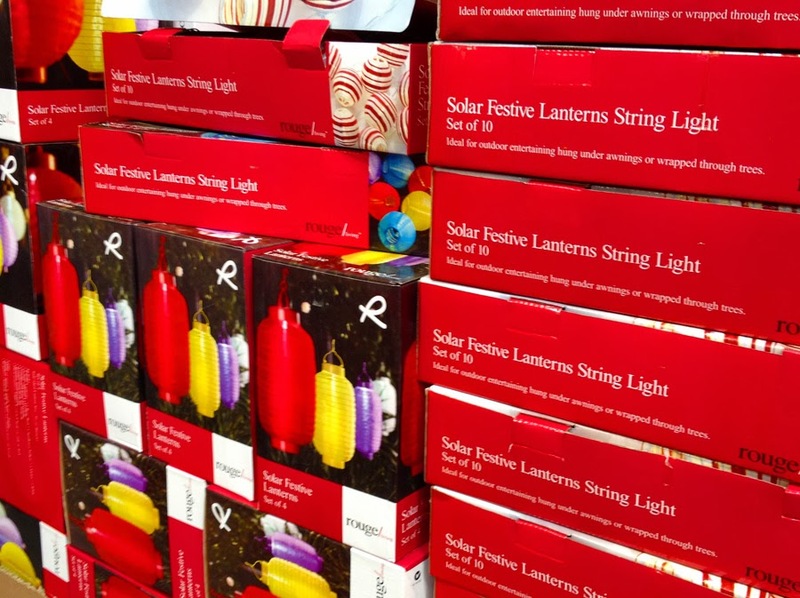 So off we went to Bunnings and picked up some solar lights to decorate Myrtle. 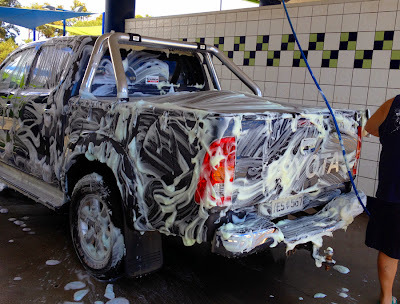 We also have finally come across a car wash, which the HiLux was in bad need of. So she is now nice and sparkly clean. For a little while anyway. Shane got a bit silly with the water and I got drenched..... ha ha very funny Shane! !